Hi! 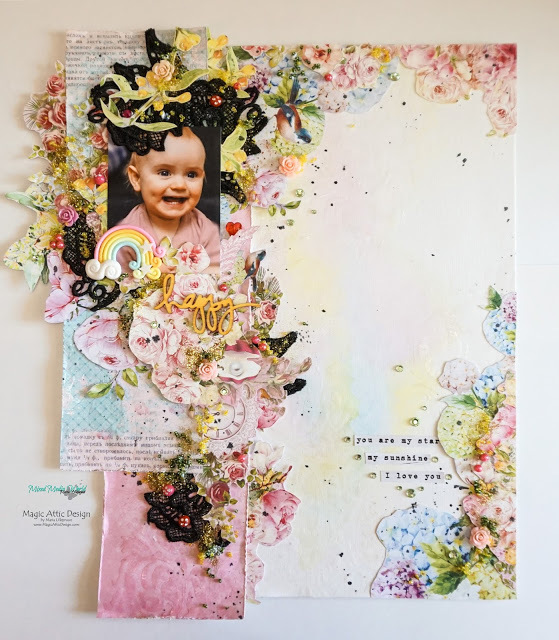 I created a light mixed media layout of an unusual shape and with watercolour twist :) It is dedicated to my little daughter, who is mainly happy and bubbly, but sometimes does turn into a little drama queen. So I made a layout using colours that would reflect her personality. Here's the video for you to enjoy!